Who doesn’t love a delicious cheese pairing? Mixing cheeses with simple plus-ups makes for a great appetizer or snack. 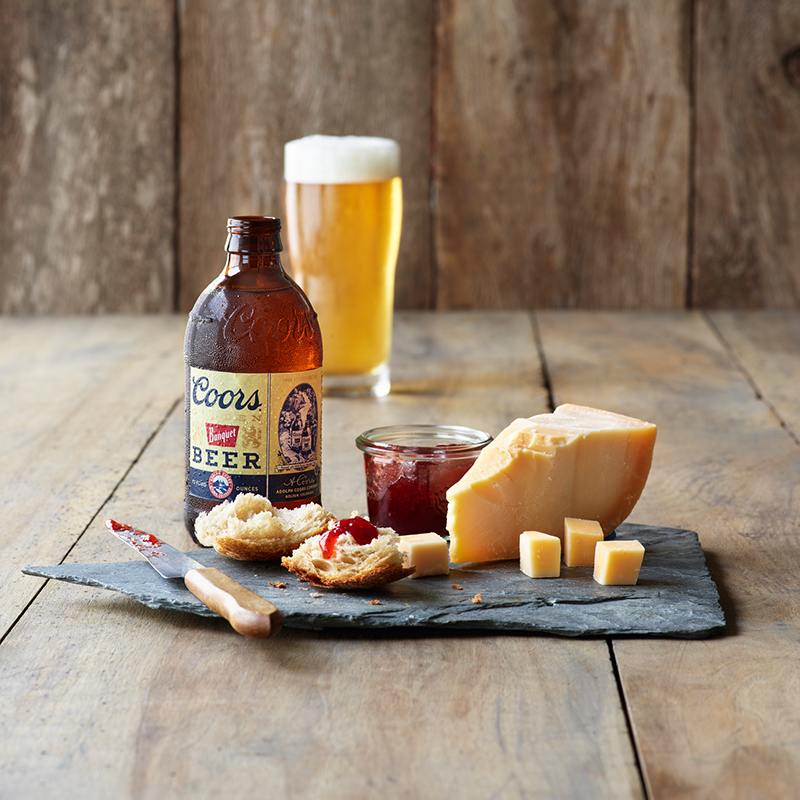 Pairing beer with your cheese rounds out the visual, tactile, and taste experience of cheese. This simple guide helps you develop a cheese plate like a pro, along with the perfect beers to match. Plus, we’ve included some pairing notes to help you impress your friends. 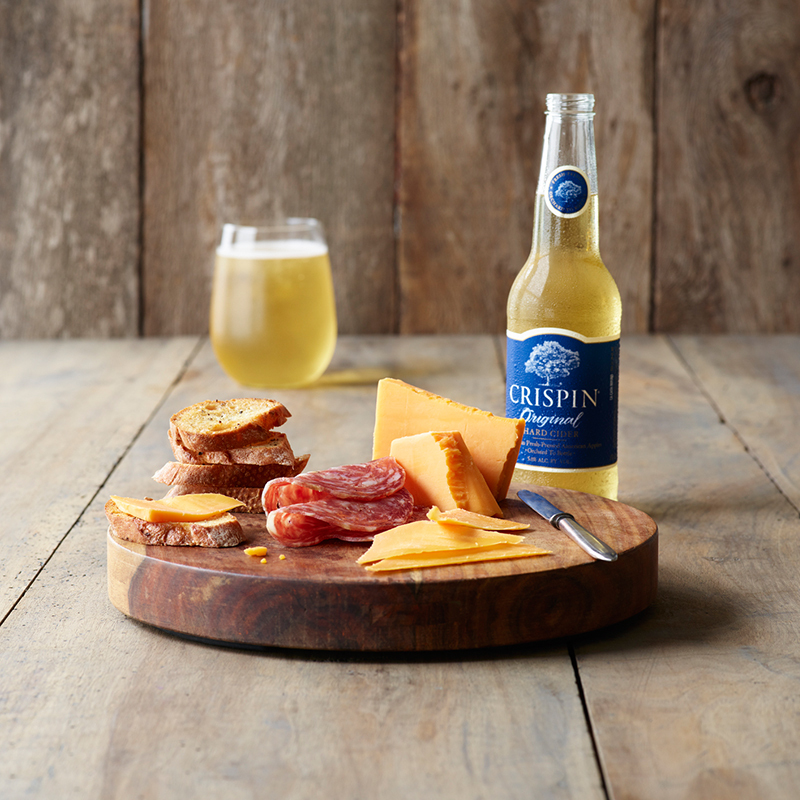 Pair this hard cheese with a Hard Cider, like Crispin® Original. Take a bite and have a sip. Notice how the fresh-apple sweetness perfectly balances the salty and savory cheese. See? You’re already a pro. Add Soppressata (an Italian dry salami) to this pairing and let the delicate, fruit-forward sweetness of a hard cider tame its classic, spicy flavor. As a bonus, the subtle acidity and brisk carbonation of the Hard Cider will help to cut the fat and saltiness of the sausage. 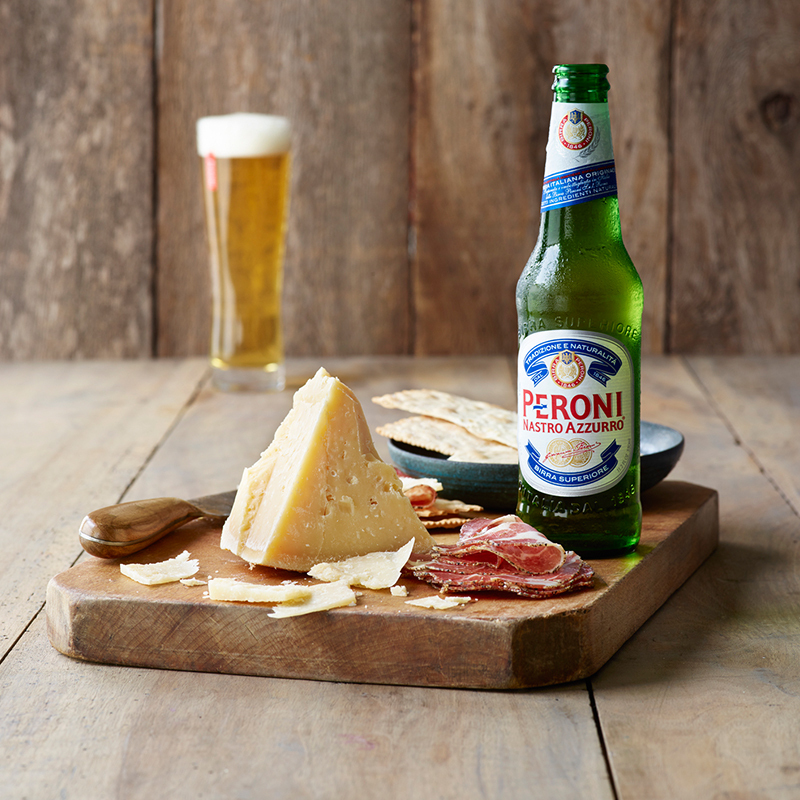 If you have aged Parmesan on your plate, keep it in the family by pairing it with Peroni Nastro Azzurro®. The bready malt sweetness of this international pale lager adds a brisk contrast to the savory and salty notes in the cheese while the bitterness and crisp carbonation refreshes the palate. That means each new bite is just like the first. You can plus up this pairing with Capocollo—traditional cured Italian meat made from pork. The delicate sweetness of the meat complements the subtle pale malt character of an International Pale Lager. 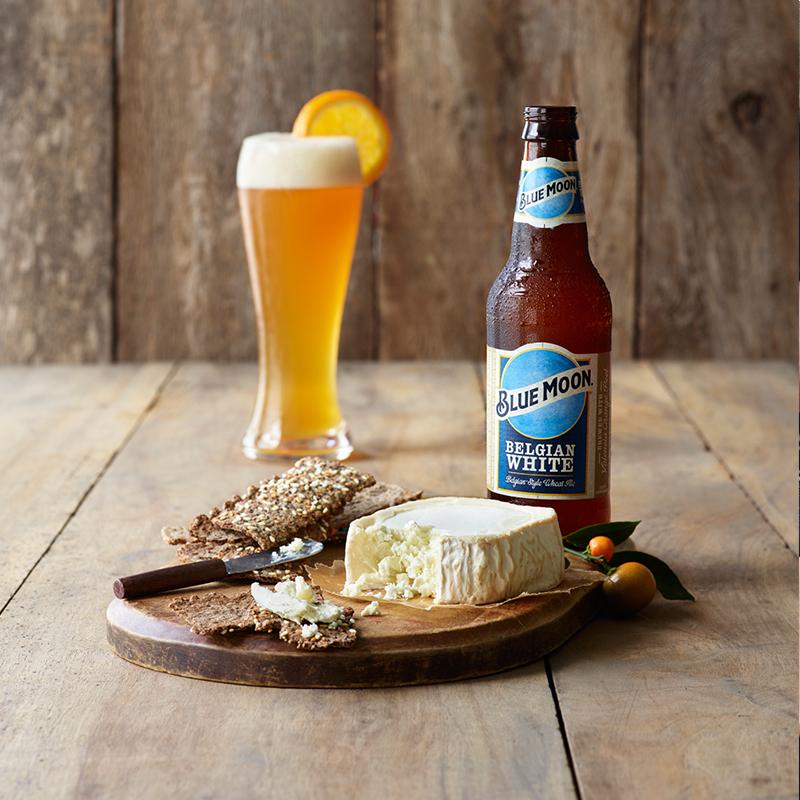 Match the natural lemony tang of fresh goat cheese with the bright citrus flavors in Blue Moon® Belgian White Belgian-Style Wheat Beer. 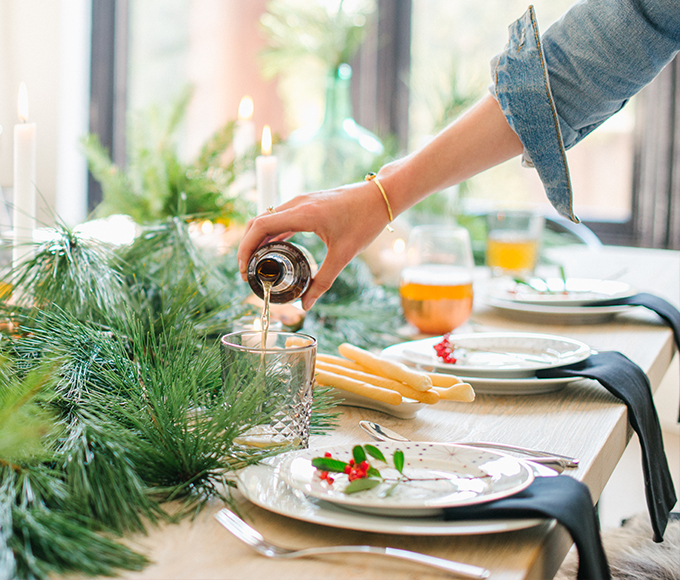 The floral aroma of coriander helps to elevate the earthy notes of the cheese. For this pairing, you can’t go wrong with sesame crackers. 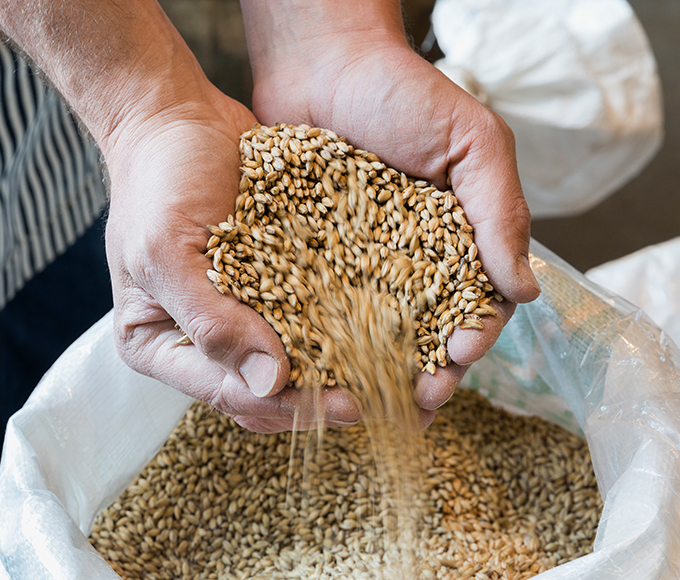 The subtle, bready sweetness of the cracker matches the wheat malt character in the Belgian Witbier. And that nutty, toasted sesame seed flavor? It’s a welcomed contrast to the bright tanginess of the cheese. 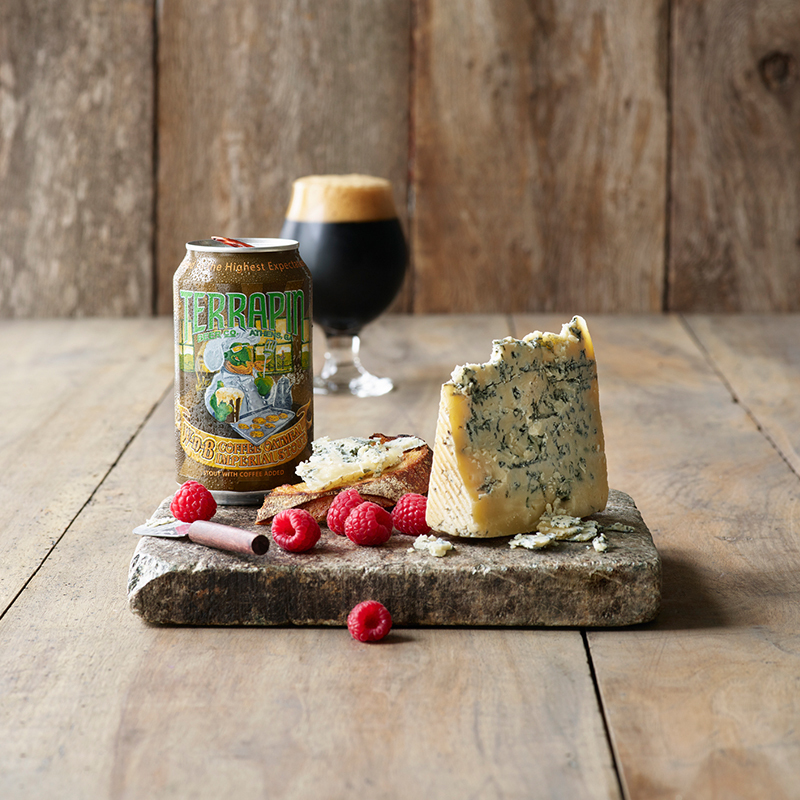 Matching the flavor intensity of blue cheese calls for a formidable beer, like Terrapin ™ Wake N’ Bake Stout. This coffee oatmeal Imperial Stout brings rich notes of espresso, bittersweet chocolate and dark fruits to the table that contrasts the salty and slightly funky character of bleu cheese. The stout’s firm bitterness brings out the natural creaminess and dairy sweetness of the cheese while contrasting its pungent bite. Any cheese plate can benefit from fresh fruit—and ripe, red raspberries are a great addition to this pairing. Raspberries pull out the underlying dried fruit notes in the Imperial Stout and provide a bright counterpoint to its dark chocolate aroma. Their slight tartness nicely contrasts the bittersweet character of the beer. Swiss is another crowd-pleasing favorite. 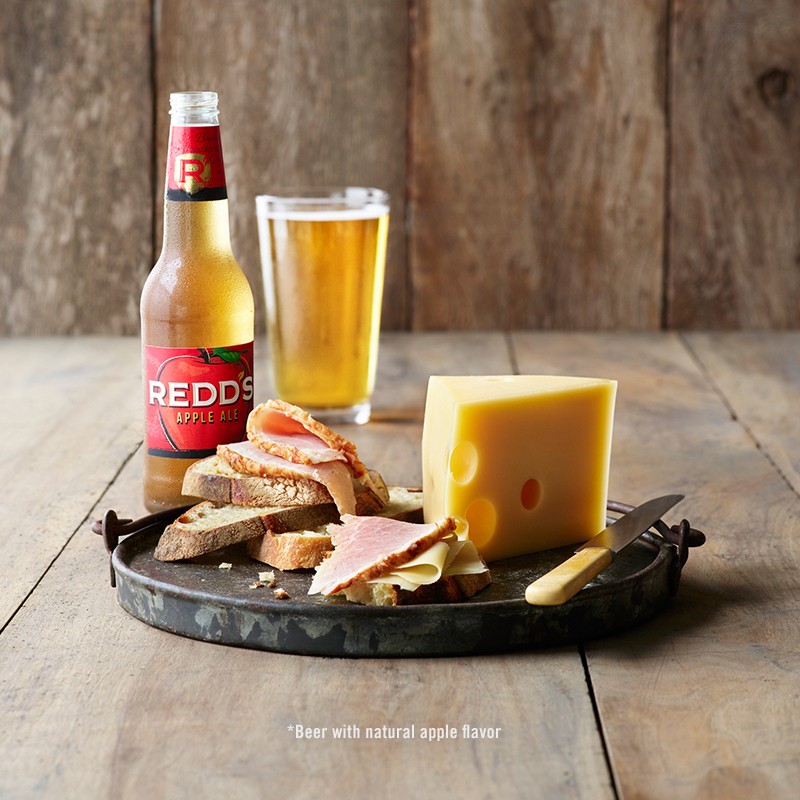 The fresh, fruity flavor of Redds® Apple Ale contrasts perfectly with these smooth, nutty cheeses. Try experimenting with a variety of Swiss or Alpine-style cheeses. The intense salty flavors of country, or cured, ham contrasts the sweet, fruity, apple flavors of an Apple Ale while the brisk carbonation provides a textural contrast to the creaminess of the cheese. Gouda gets better with age, and the delicate malt sweetness of Coors Banquet® complements aged Gouda’s slight caramel notes. The beer’s brisk carbonation and subtle flavors will also help to balance and cut the milder flavors and creamier texture of a young Gouda. You can’t go wrong with either, so pick the Gouda that sounds tasty to you. Top that young or aged Gouda with a dollop of strawberry jam and let the sugar and fruit combo contrast the cheese’s savory flavors. 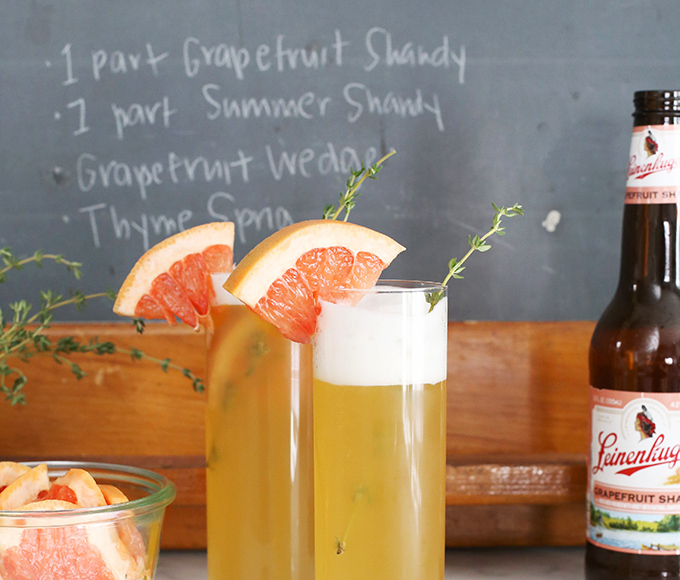 As a bonus, the jam elevates the subtle malt sweetness and underlying fruity esters in a classic American Lager. This plus-up brings an additional level of complexity to the pairing; and that’s a very good thing. Add cheese with a creamy, gooey texture to the mix, like triple crème Brie. 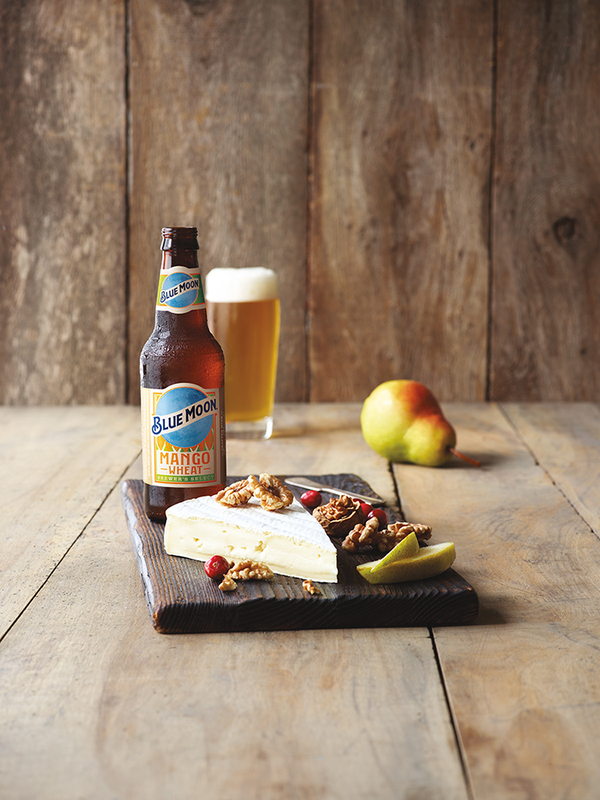 The fresh mango flavor of Blue Moon® Mango Wheat combines with the rich, buttery notes in this cheese to evoke the decadent taste of fruit and cream, while contrasting its earthiness. The rich, almost meaty, earthiness of walnuts brings a savory element that contrasts with a Fruit Beer. Try toasting the walnuts for an extra layer of nuttiness or poaching the pears in the beer with fresh ginger for a more complex, sweet flavor. 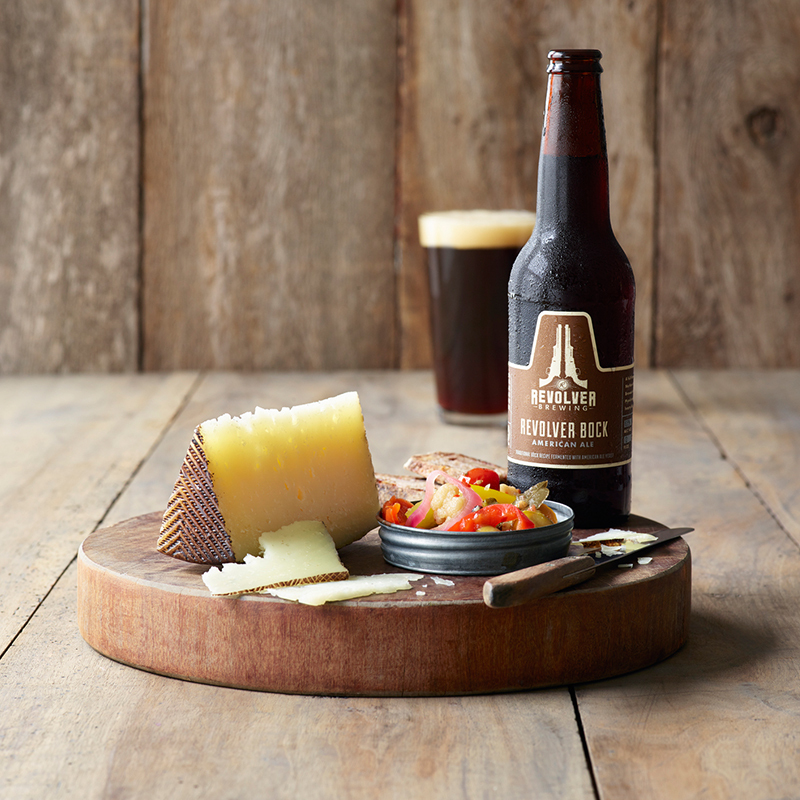 Match a well-aged Manchego – a cheese made with sheep’s milk – with Revolver Bock. The nuttiness and slight caramel-like sweetness of the cheese complements the deep toasty and toffee-like malt character of the beer. As a bonus, this beer style’s subtle hop bitterness will contrast the noticeable tanginess of the cheese. The vinegary-bite of pickled vegetables provides a bright, pungent contrast to the malt sweetness of a classic German Bockbier. 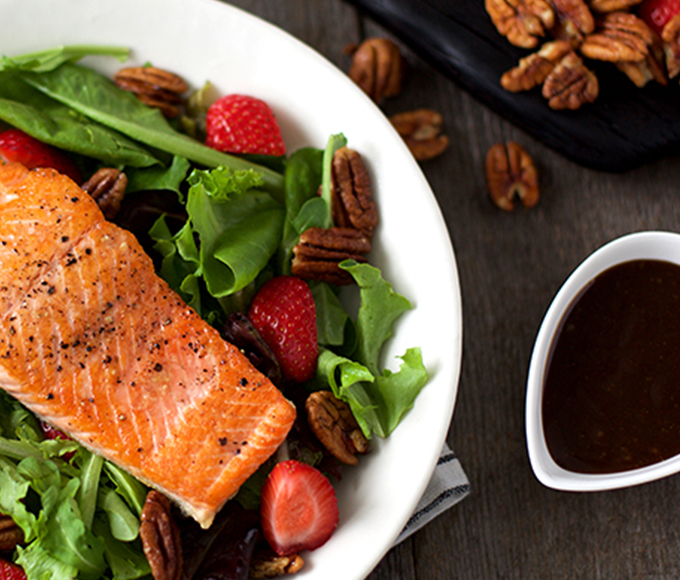 A stark flavor contrast like this helps to elevate the primary flavors of both items. Add a bold cheese to your board with Gorgonzola. 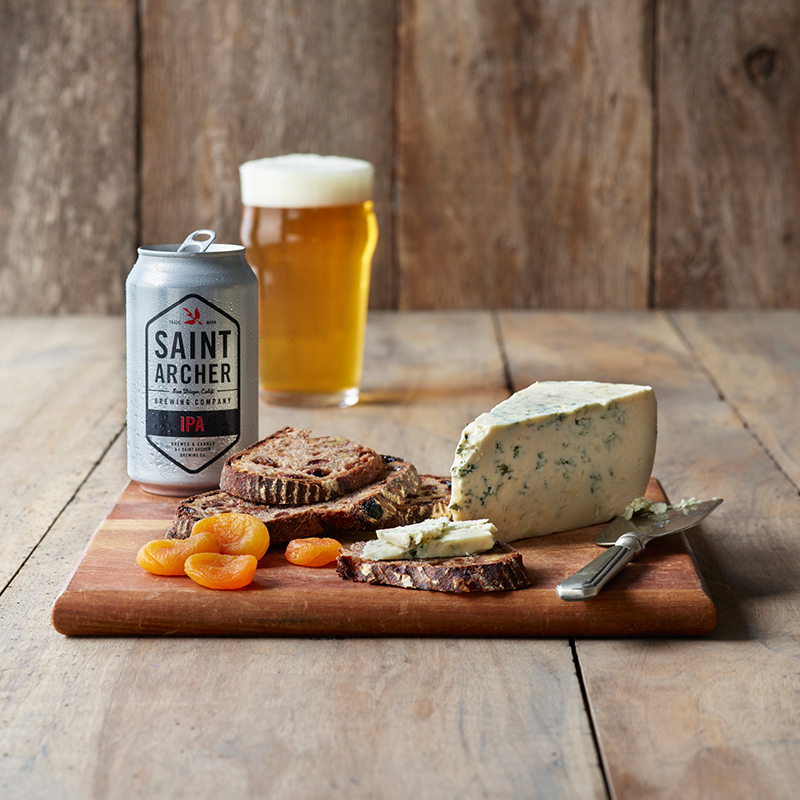 This blue-veined Italian cheese pairs best with a hoppy beer like Saint Archer® IPA. The pungent, pine resin hop aromas of this beer style complement the cheese’s earthy and slightly pungent quality. And with a cheese this strong, it needs those notes of tropical fruit to cut through the creaminess and brighten your palate. The candy-like sweetness of dried apricots lends a stark, but pleasant contrast to the sharp bitterness of an American IPA. As a bonus, the apricots elevate the beer’s fruity hop aromas. Camembert is the soft, somewhat fatty cousin of Brie. How will you know the difference? It has a much funkier aroma. 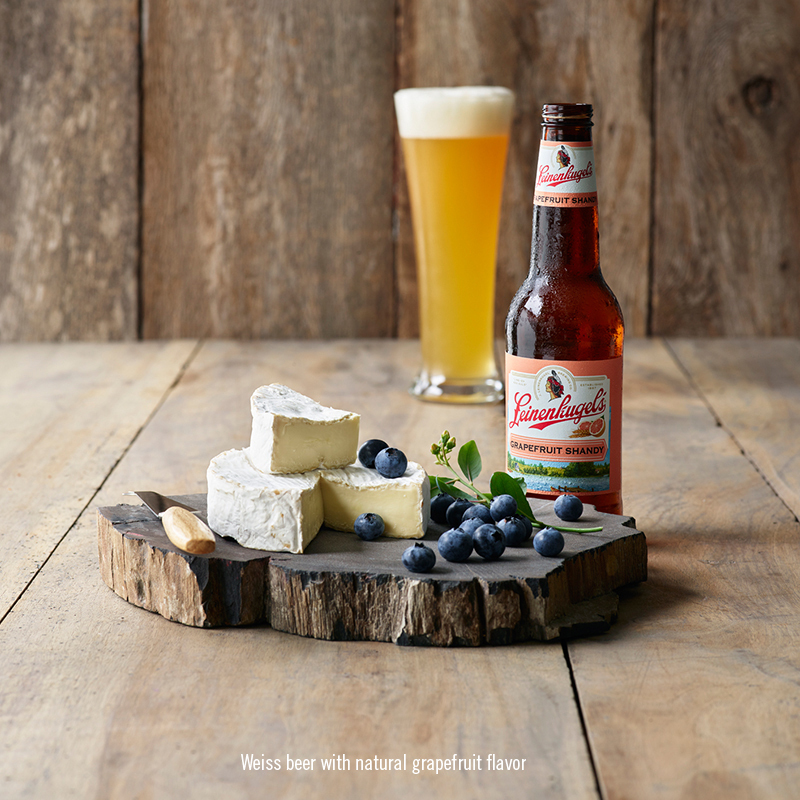 Pair this guy with Leinenkugel’s® Grapefruit Shandy and let the bright, floral and slightly tart flavors bring a stark, yet delicious contrast to the earthy richness found in this pungent cheese. A Shandy also helps to cleanse your palate after a bite of Camembert, thanks to its spritzy carbonation and soft bitterness. Blueberries bring a jam-like sweetness that elevates the Shandy’s tartness and equally contrasts the earthy tones of the cheese. Check out our simple to-go pairing guide.